How to improve your current living space. Where you can find inspiration for your home addition. 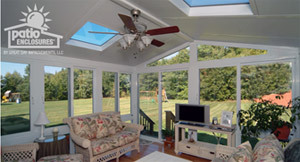 More about the value of adding a sunroom to your home. You can do this by adding square footage to your home. You can always add an extra room with less frustration and mess than finding a new place to live. There are many benefits to this! Room additions can be fun and prove to be an excellent way to improve your home. 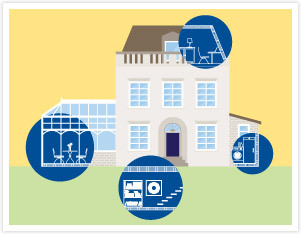 When making home improvements, it’s important to think about how it will impact resale value. What you and your family might need is an extra room allowing guests to visit and stay over comfortably. What potential buyers might envision could be a guest room, home office or the newly installed elegant sunroom. Before you build an extra room specifically to increase your home’s value, be wise and educate yourself on what the demands of the market are. When thinking of potential property value, the more purposes a room can serve, the better. For example, if you’re a rock climber and build a room that contains multiple plastic handholds, and swinging ropes, don’t be surprised when a retired couple who wants a den, or a new family that needs an extra room for their baby, doesn’t get as excited about the climbing room as you did. Know the demands of the buyer and get familiar with the best ways to add value to your home. Tailor a new home addition to your needs, while keeping resale value in mind. If you don’t plan to leave your home any time soon, the additional square footage allows you to configure your house to your tastes. There are many modern home additions that can make your dream home a reality. You’re already comfortable with the space, know the neighbors, and know your way around town, so a home addition is likely the best option for you. Adding extra space to the living room or dining area is just one of the great ways of adding on to your home. Your new room can be used to entertain friends and family, along with increasing the attraction of your home. Whether it is building an additional room to allow your guests to stay over, or increasing the space of your living room or dining area, friends and relatives will be drawn to your home. They can watch the game in comfort or you can host a big family dinner - the possibilities are endless. The homes featured in magazines always look wonderful, but they lack the familiarity of your home. Those houses might seem out of reach with their spacious bathrooms featuring hot tubs, screened in porches, or beautiful basement dens, but they can serve as inspiration for your own renovations. With a home addition, you can update your bathroom and install the hot tub you’ve always dreamed of. Finish your basement by installing a bar and foosball table to entertain your friends at halftime. With a little effort you can turn your comfortable house into an irresistible place of peace, refuge and luxury. The windows in a sunroom home addition will allow an abundance of natural light into your home creating a space where you and your family can comfortably relax, while also absorbing vital nutrients that only the sun can provide. In addition to these healthy benefits, the plant lover in you will adore the sunroom. All year-round you can store your plants, and it’s a great place to enjoy nature without the nuisances of it. You can relax and read a book without swatting at mosquitos, or worrying about the wind blowing your pages. 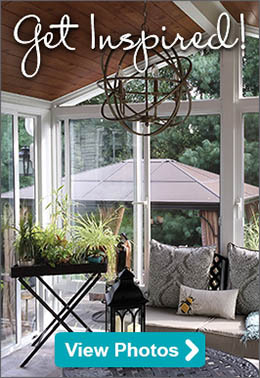 Adding a sunroom instantly turns your regular house into a home worthy of the glossy pages of those enviable home magazines. 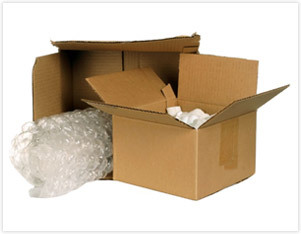 So now the comfort and value of your home has increased and you haven’t touched a cardboard box. To learn more about our home additions, contact Patio Enclosures today and schedule a free in-home estimate. 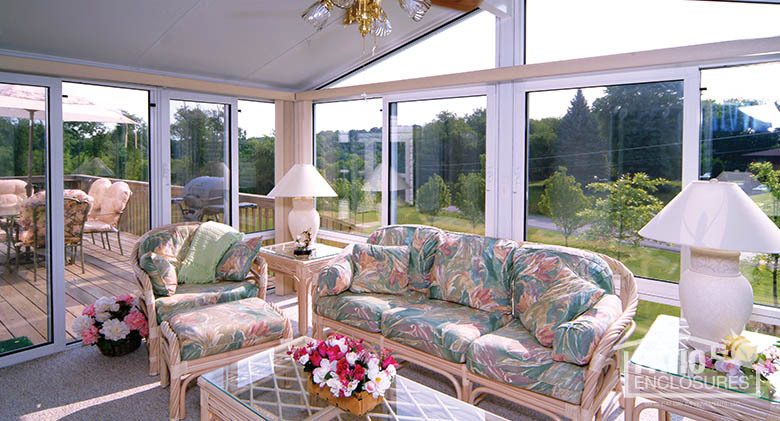 We would love to help you create the sunroom addition you have been dreaming about.